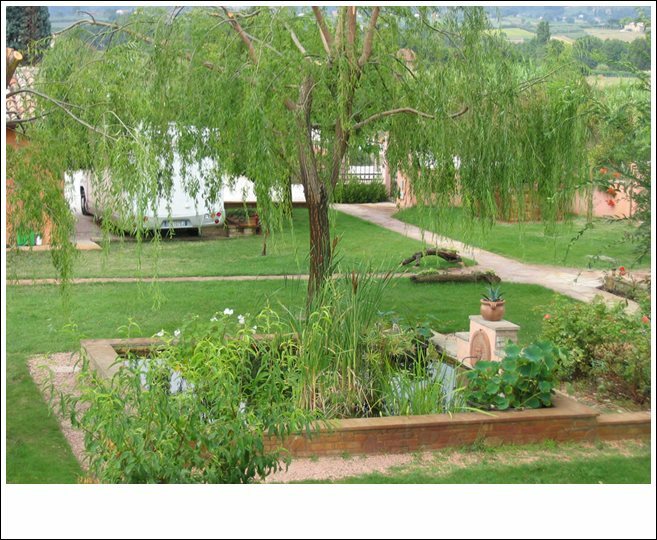 Camping in organic Farmhouse provides a way for lovers of the outdoors to experience a unique and unforgettable stay in close contact with nature, the pitches are suitable for camper vans, caravans and tents they are fitted with ground reinforcing grass paving grids. Three spacious and comfortable places equipped with all services (water intake, electricity supply (3 amps/600 Watt) and Wi-Fi connection make it the ideal place to spend a relaxing holiday in an oasis of real peace and quiet. Facilities: bathroom (free shower with hot water heated with biomass energy), washing machine (payment), green, a wash block facilities with washbasin, washingup sinks, barbecue, wi-fi connection, many books……..
Our camping has easy access and is convenient for sight-seeing, shopping and so on. Daily Prices: € 8 plot + € 6 person and include: water, electricity, use of hot water shower, enclosed car park, bicycles, playground, barbecue, books, wi-fi connection. Do you want to use the sea salt swimming pool? It is for payment. The plots are available from at 12.00 and must be left free by 12 noon on day of departure. For departure or arrival after or before that time an extra half day will be charged. Farmhouse organic guests’s and campers can book in the morning to have supper with us that evening at 8 pm. Vegetables, eggs, chickens and olive oil are all produced by us. Come and try our tasty traditional Umbrian dishes passed down through generations!